Overlook of Zabriskie Point in Death Valley, CA . 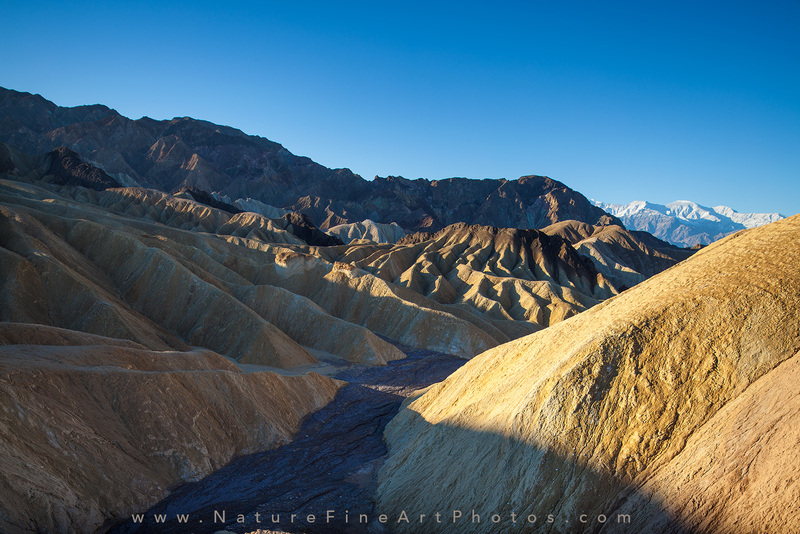 Zabriskie Point contains tan and gray colors of erosional landscape in the Amargosa Mountain Range. It contains sediments from Furnace Creek Lake which has been dried for millions of years. This was a very popular place in the summertime. Zabriskie Point is named after Christian Brevoort Zabriskie (1864–1936) manager of the Pacific Coast Borox Company for many years. The Pacific Coast Borox company transported borax from its mining operations in Death Valley.